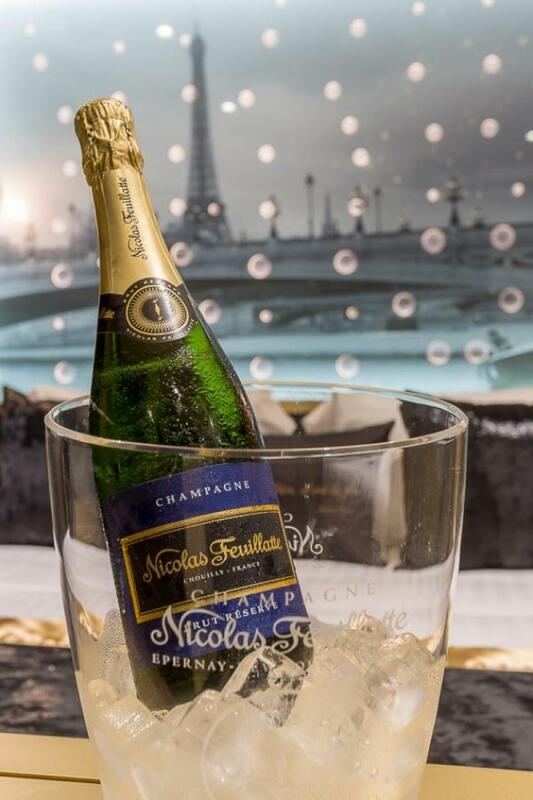 It is on the 1st floor of the Hotel Les Bulles de Paris that you will enjoy our Nicolas Feuillatte suite. 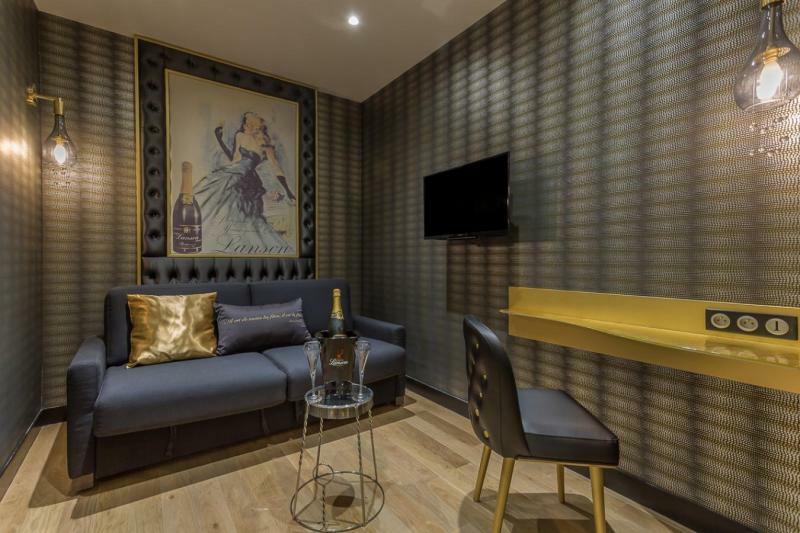 Come and enjoy a bottle of Champagne offered by your hosts in this suite for 2 people, equipped with a bathroom with shower and whirlpool bath. 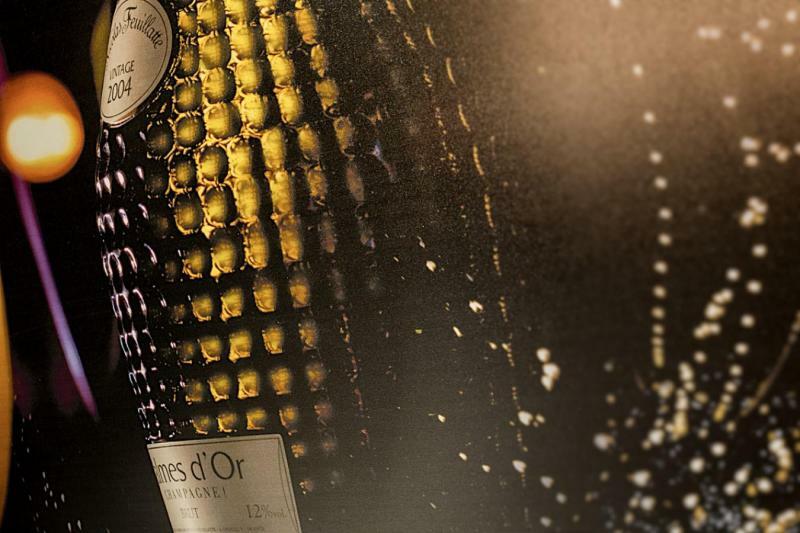 Do you like Heidsieck Champagne? 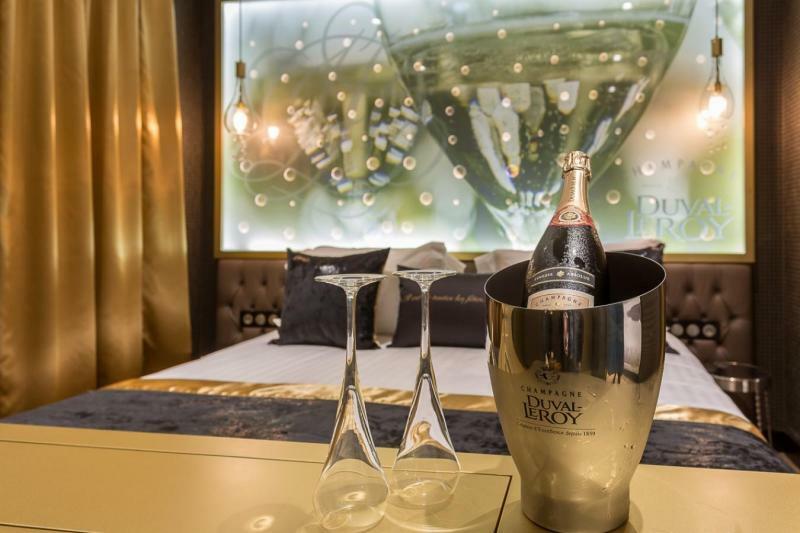 Then we welcome you to this suite. 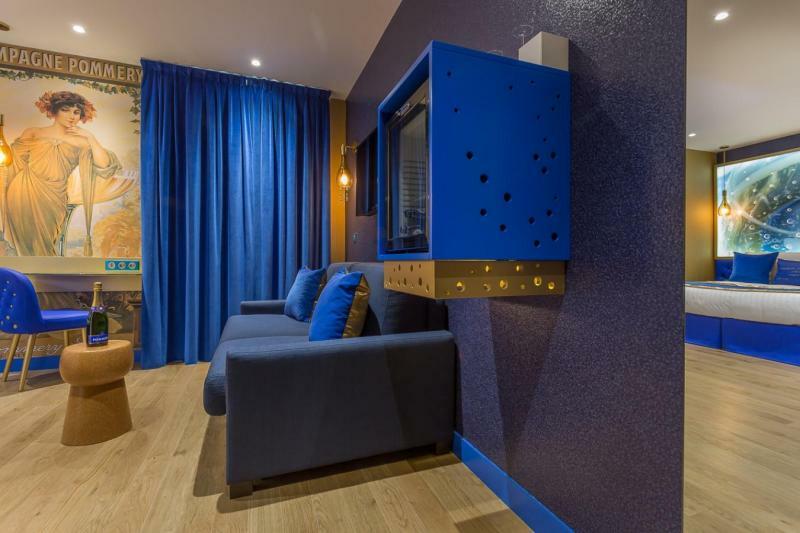 Take time to unwind in this friendly space with modern décor. 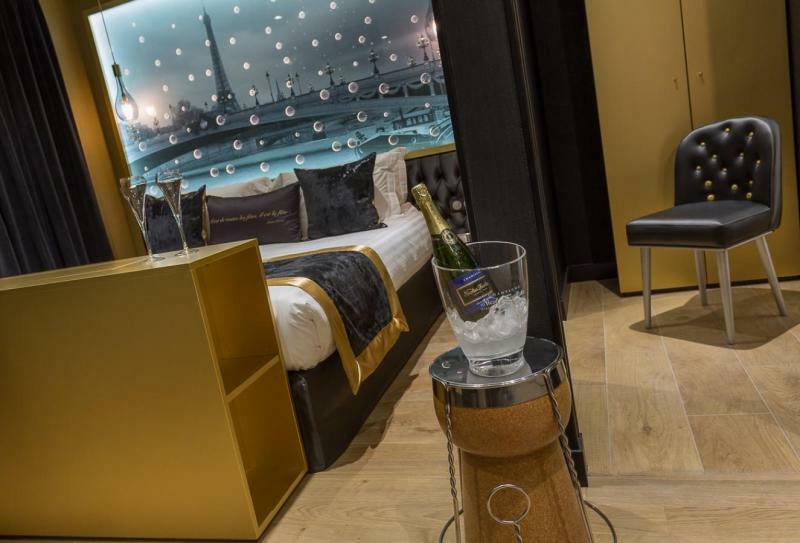 Sip your champagne in the lounge or enjoy a moment of relaxation in the whirlpool bath. 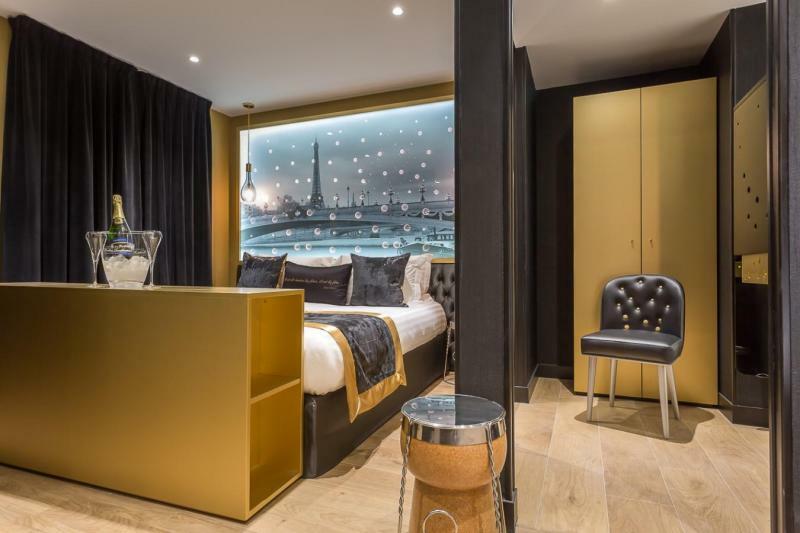 This Suite for 2 people has a double bed, or according to your preference two single beds, and a sofa bed that could welcome a third person on demand, against an extra fee. 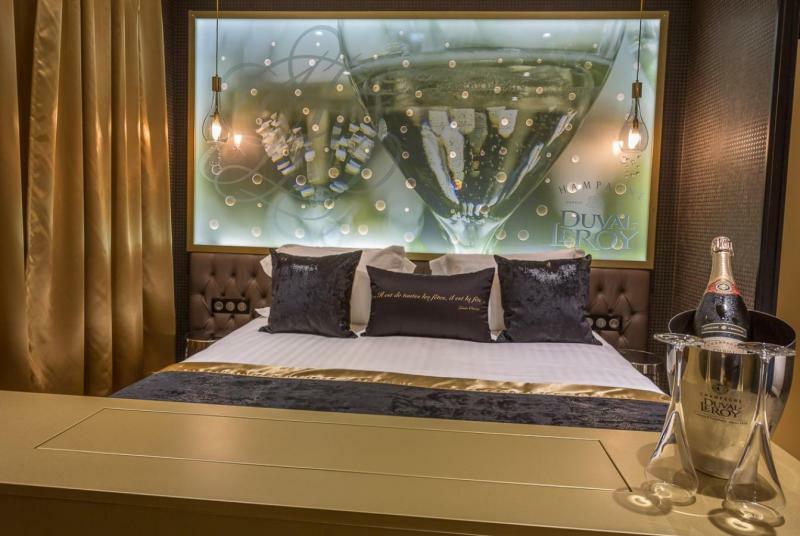 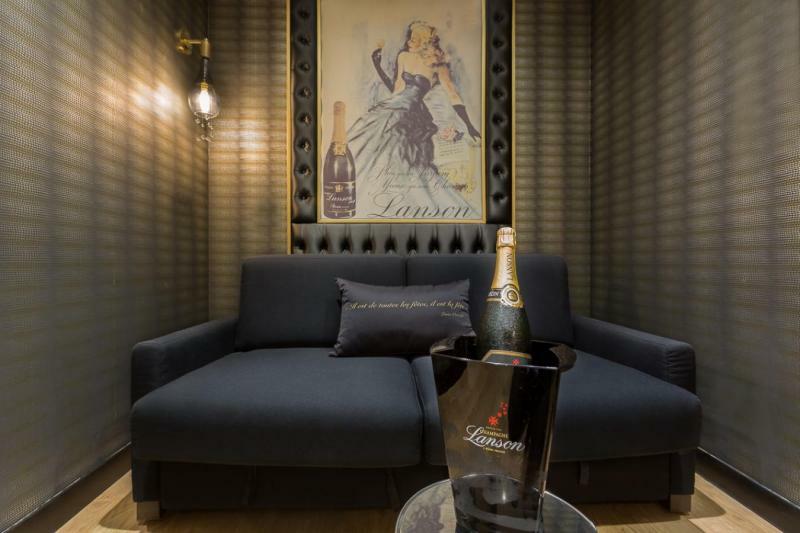 The Champagne de Laurent Perrier is featured in this suite of the same name. 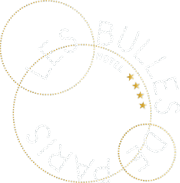 The Hotel Les Bulles de Paris offers you a bottle to enjoy with family or friends in this suite for 2 people. 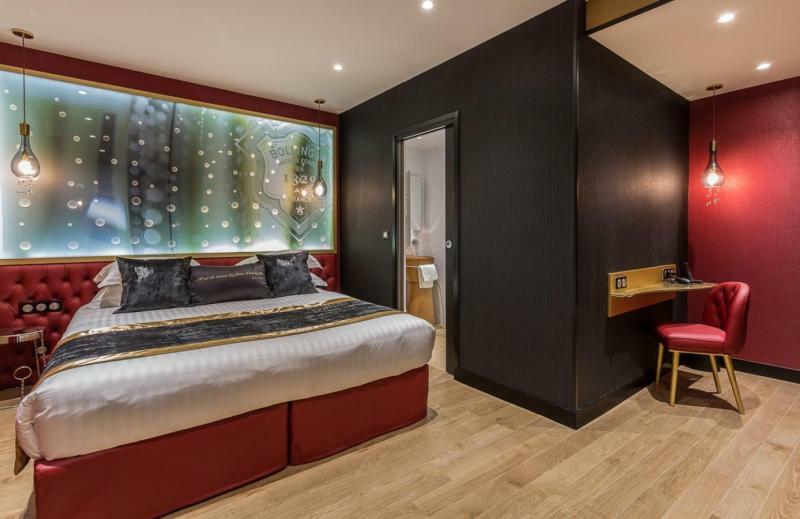 This Suite has a double bed, or according to your preference two single beds, and a sofa bed that could welcome a third person on demand, against an extra fee. 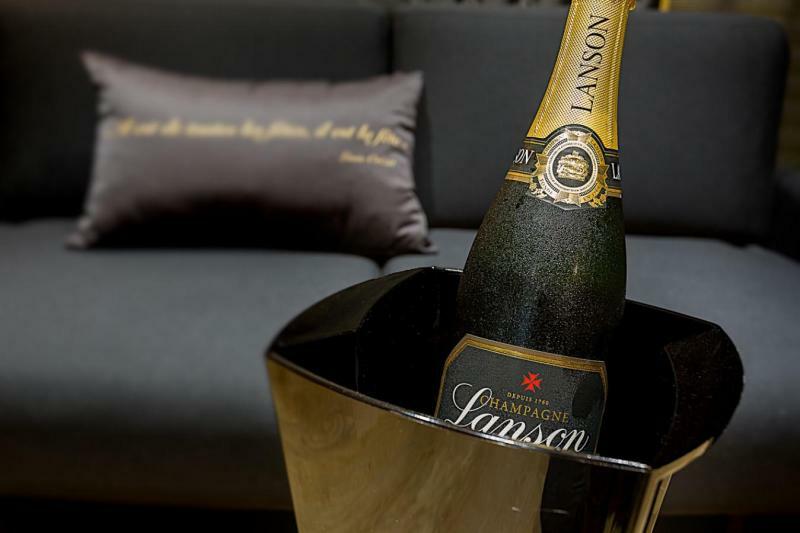 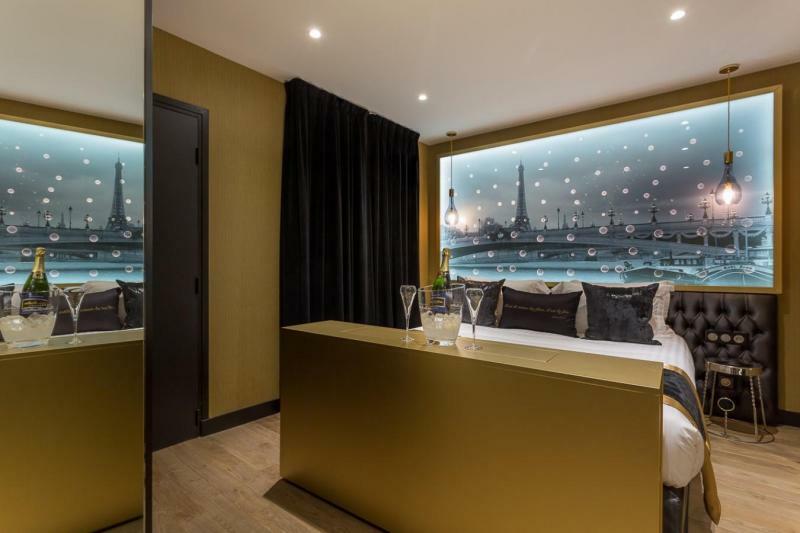 Discover the Champagne of the house of Lanson in this suite that is suitable for 2 people. 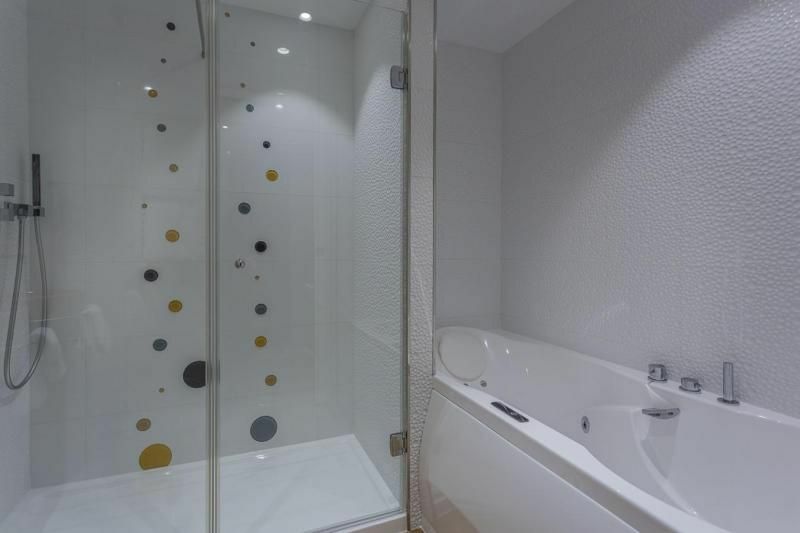 A beautiful bathroom with a shower and bath awaits your pleasure. 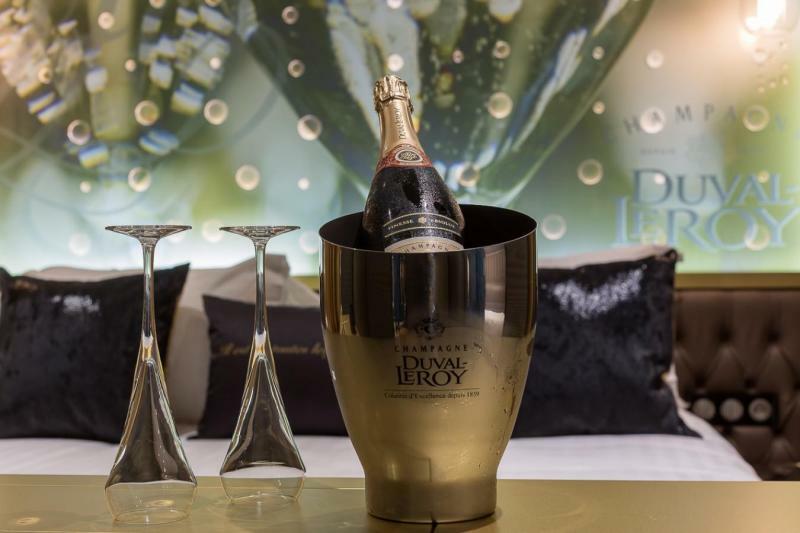 Staying in the suite Duval Leroy. 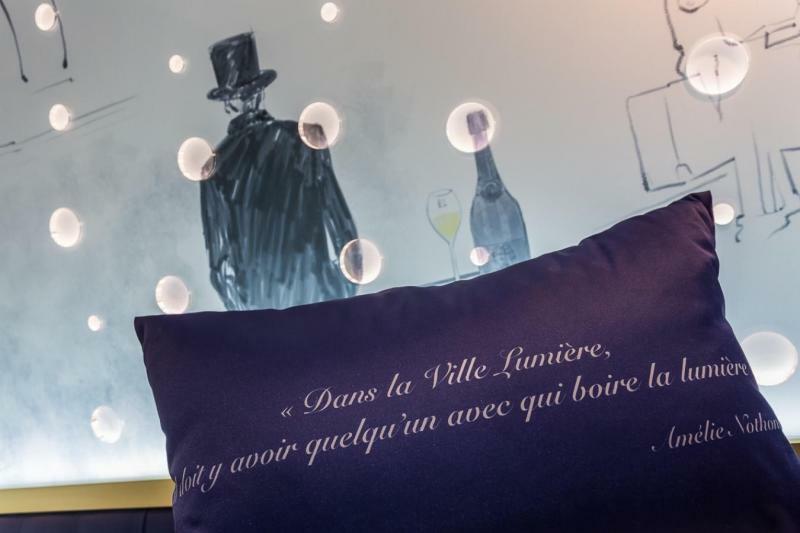 The name has its importance since the hotel Les Bulles de Paris offers you a bottle of Champagne on behalf of the suite. 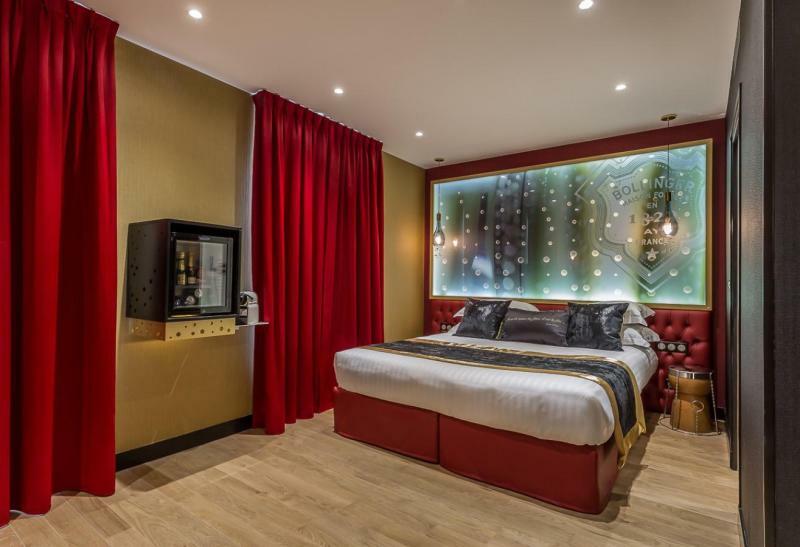 This suite features a bathroom with shower and bath. 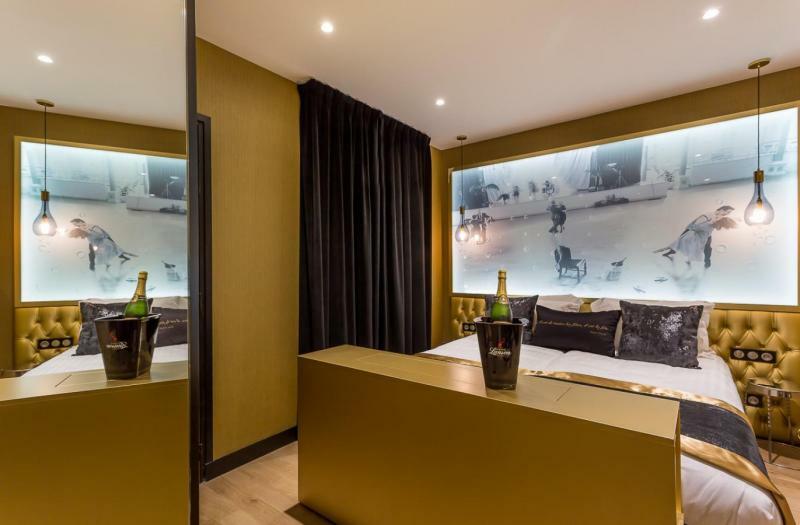 Following Duval Leroy for 2 people has a double bed, or according to your preference two single beds, and a sofa bed that could welcome a third person on demand, against an extra fee. 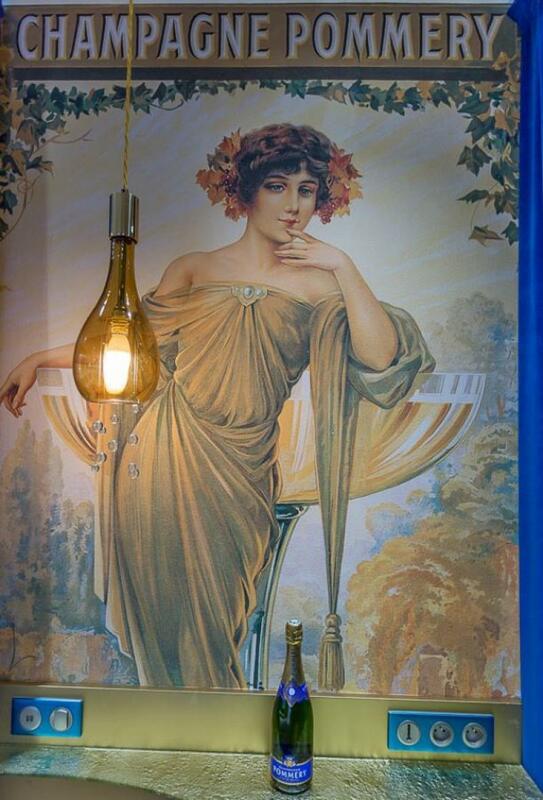 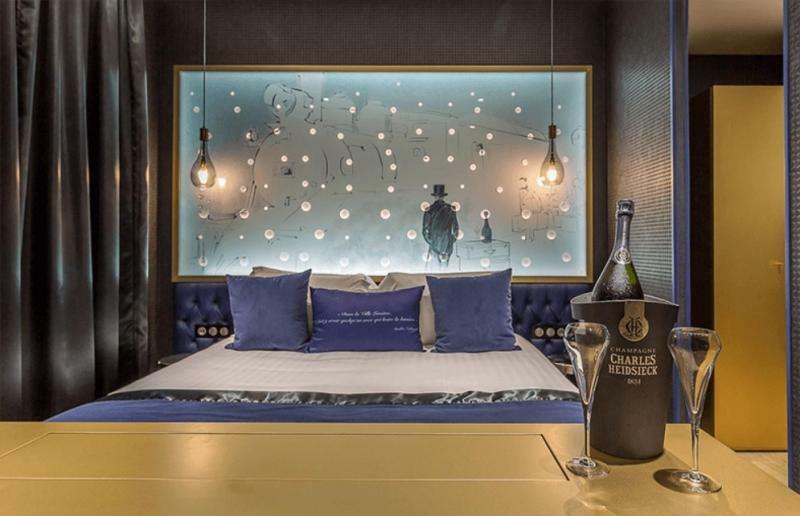 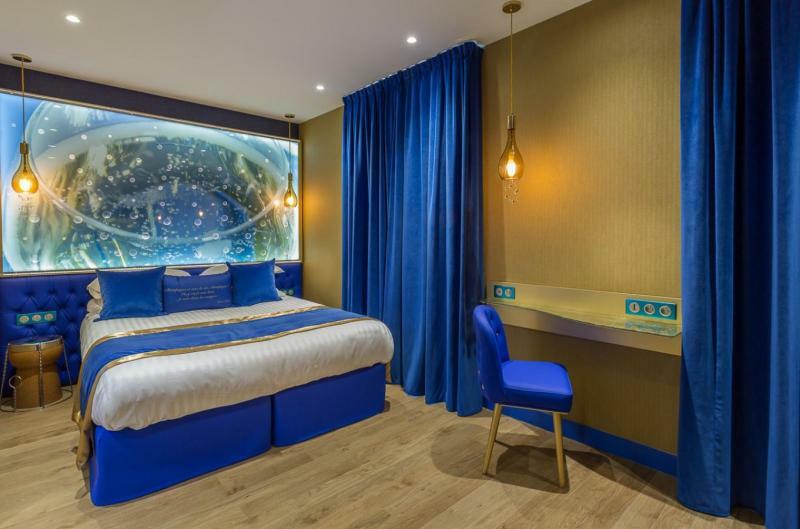 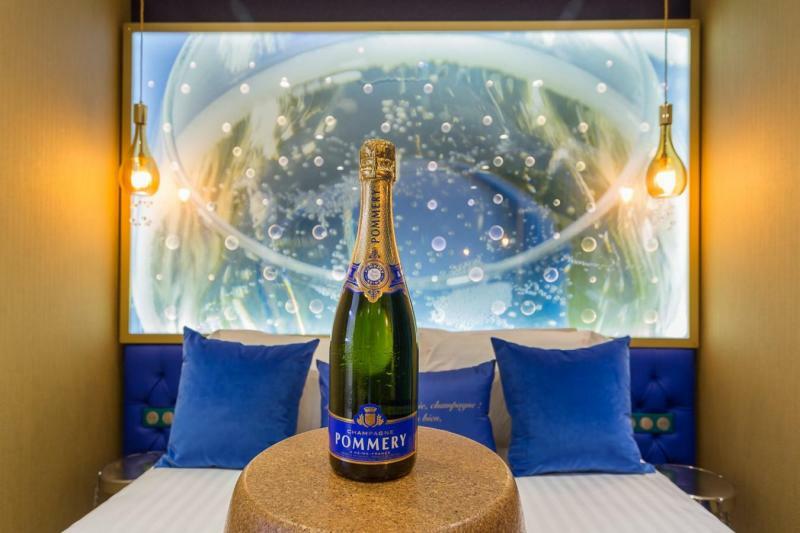 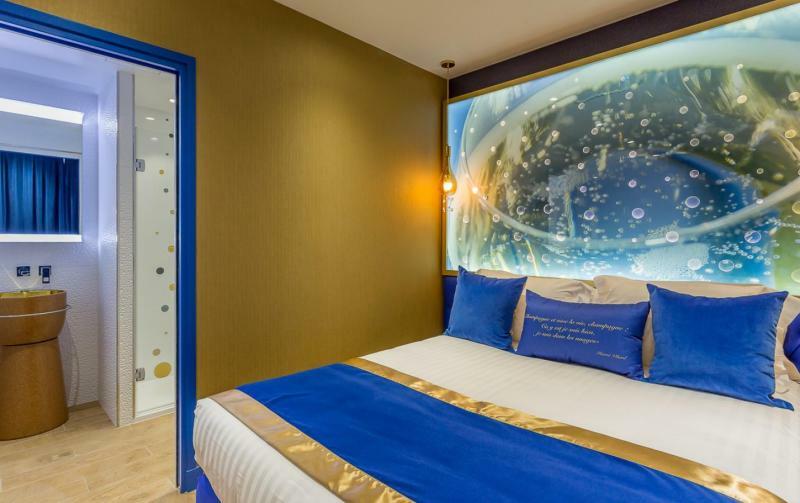 In choosing the Pommery Suite, you get a bottle of champagne of the same name offered by the hotel The Bubbles Paris. 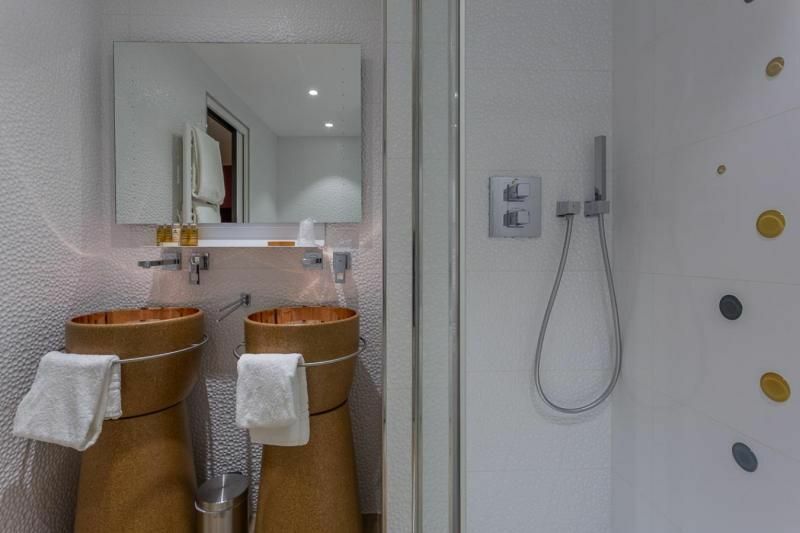 Equipped with all comfort, you will find a bathroom with shower and a bath. 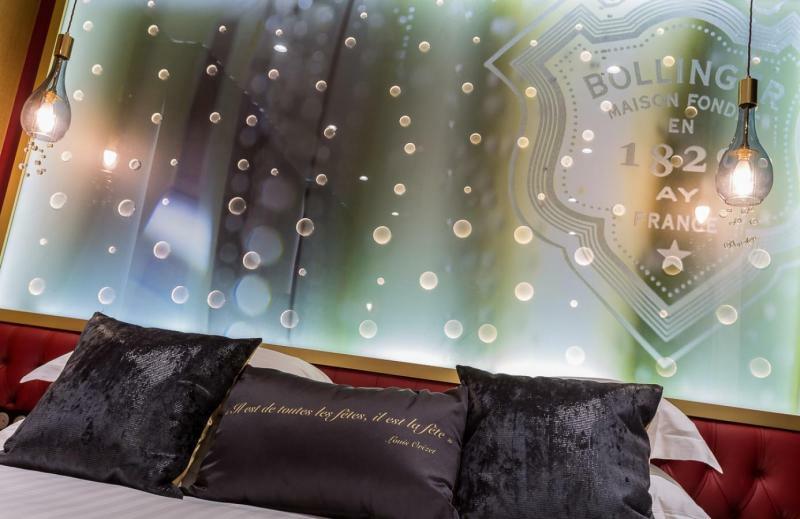 The Suite Bollinger is located on the 5th floor. 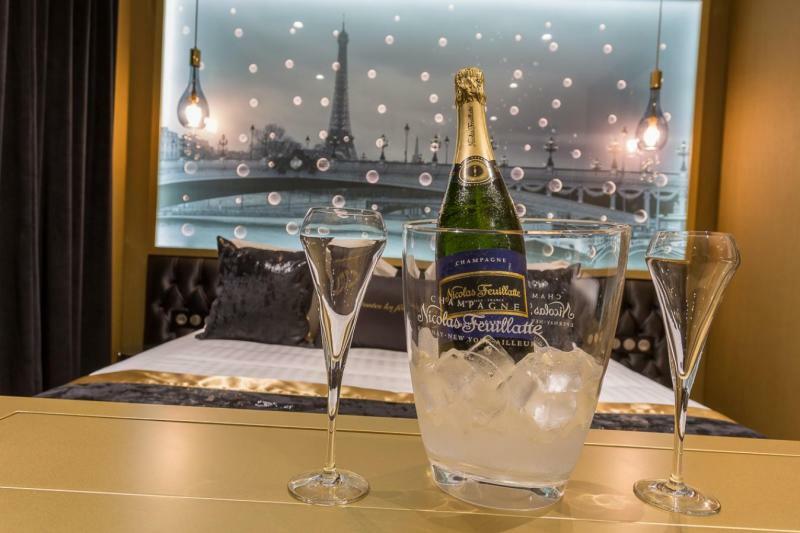 The hotel offers a bottle of champagne in the name of the suite. 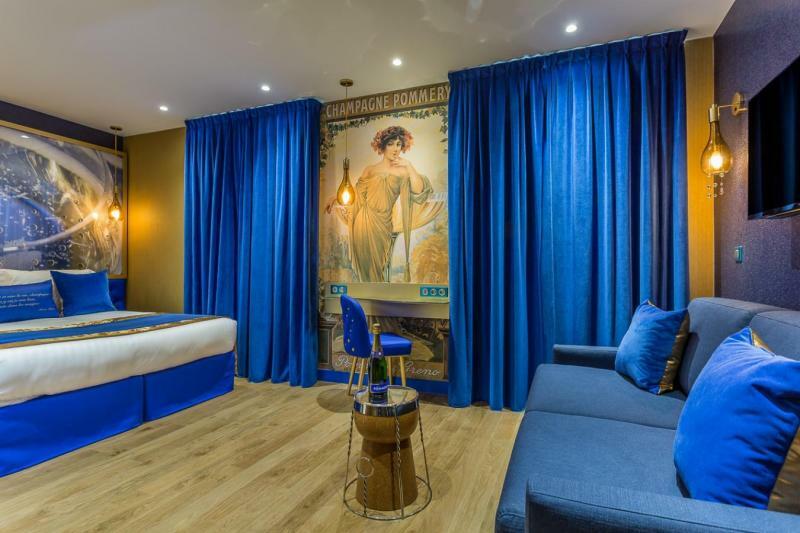 This suite offers a comfortable bathroom with shower and bath.